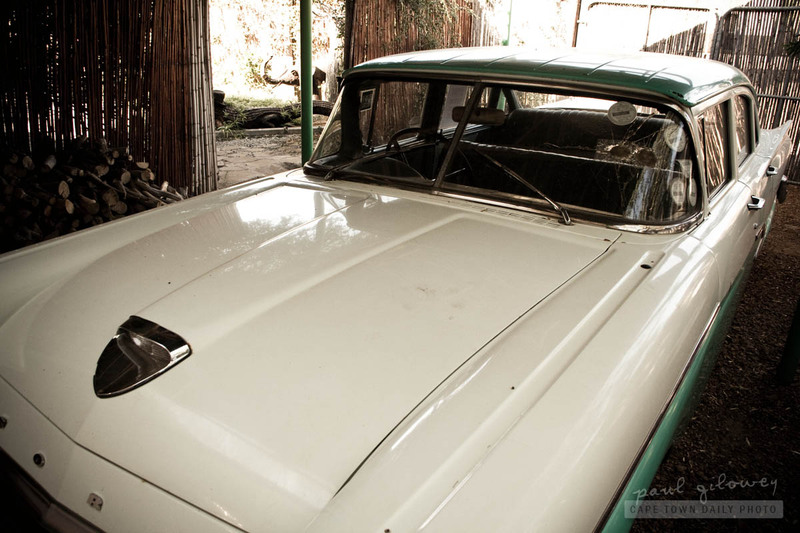 "This Ford Fairlane once belonged to Mrs Evita Bezuidenhout's husband, Oom Hasie. In 1958, Dr J.J. de V. Bezuidenhout became a cabinet minister in the government of Hendrik Verwoerd. He held two portfolios: Minister of Water Affairs and Minister of Black Housing - and combined his portfolios into one by building a black township in a dam. The two bullet holes in the front window are a reminder of the failed assassination attempt on his life at The Wolwekloof turn-off along the Warmbad road in 1959. Dr Bezuidenhout was arrested in 1960 for breaking the Immorality Act. He was found on the backseat of this car in a compromising position with a Swazi waitress from the Laagerfontein Grand Hotel. 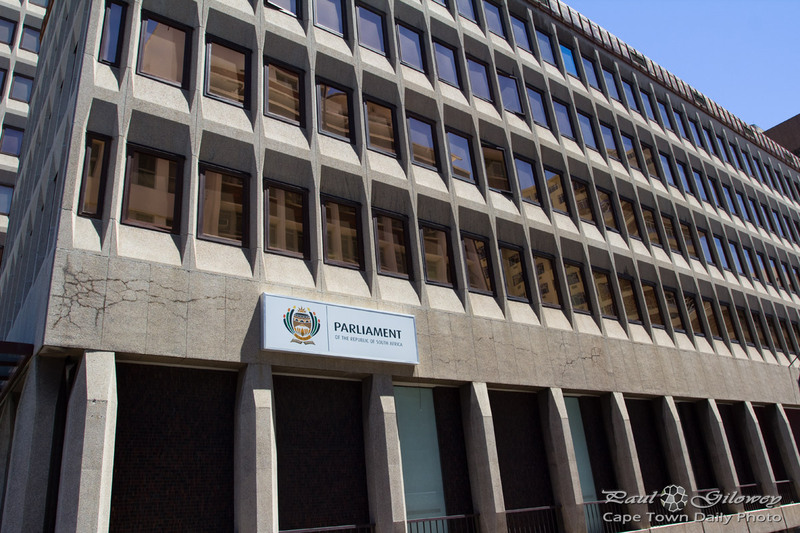 After interventions by his wife and her powerful friends in the National Party, all charges against Minister Bezuidenhout were dropped. The woman disappeared." Unfortunately the old Immorality Act wasn't enforced because the cabinet Minister was married - it wasn't that kind of morality that the government concerned themselves with. Isn't it weird now to think that there was once legislation that prohibited inter-racial romantic relationships? Posted in General and tagged car, history, politics on Thursday, 7 April, 2011 by Paul. 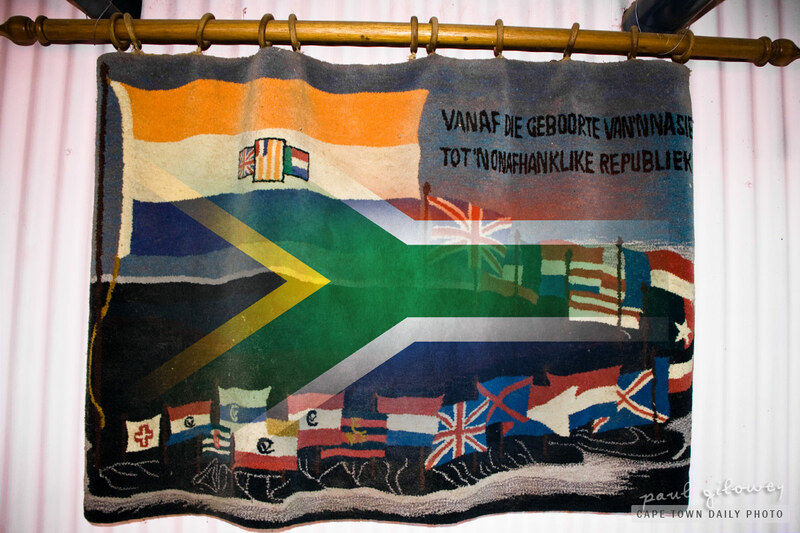 I found this old mat (sans the artistically-edited-in new South African flag :D ) at Evita se Perron, a popular political history museum of sorts in the tiny town of Darling (a little way up our West Coast). South Africa's current flag, besides for being unique in that it has 6 colours (in the main design), carries a fair amount of symbolism - surprisingly more than one may realise. Visit the Southern African Vexillological Association's site for an interesting overview on the meaning behind each colour and the general flag design. If you're very into flags, then also take a look at this poster (which it looks like the vexillological association sells for a small fee). It gives a fairly comprehensive view on the various flags flown over our country in our colourful past. In case you're wondering, the Afrikaans sentence "Vanaf die geboorte van 'n nasie tot 'n onafhanglike republiek" means "From the birth of a nation to an independent republic" in English. Posted in General and tagged politics on Tuesday, 5 April, 2011 by Paul. This old political poster was created by a political party called the Herstigte Nasionale Party (Reestablished National Party). The HNP is one of the minority parties who still believe in racial segregation. 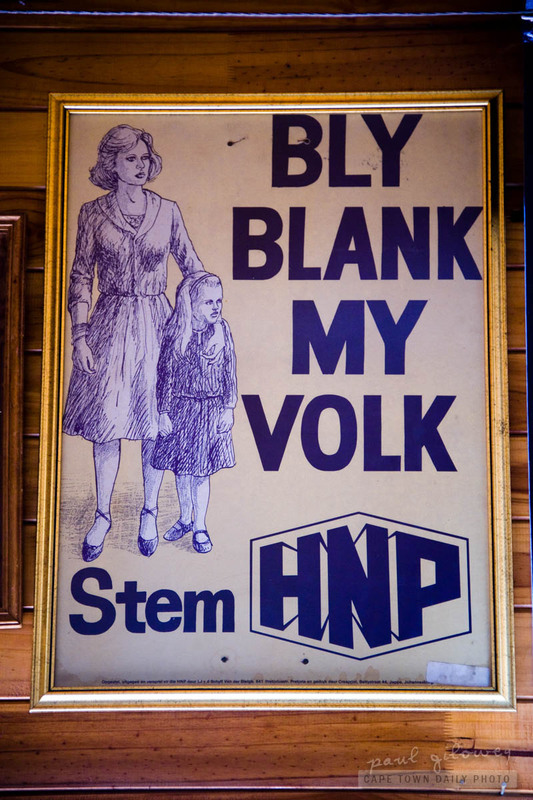 Essentially, that's more or less what this poster tries to convey - Bly Blank My Volk means Stay White My People and tries to convey the message that the Afrikaner people should remain segregated; white; and Afrikaans-speaking. Essentially, their intent is to protect the interests of the "old" Afrikaner nation. I think that their fear is that because Africa is a continent with a huge black majority that their identity as a people is at risk... which I guess is a fair concern. Whether or not you and I subscribe to the ideals of the HNP isn't really relevant to me - what I find it interesting that a people feel the need to protect their identity with such fervour. It's not really something that I'm able to identify with. Posted in General and tagged politics on Monday, 4 April, 2011 by Paul. Jonathan Shapiro (second from the left), better known as Zapiro, is famous for his no-holds-barred cartoon portrayal of prominent South African figures, and politicians in particular. I've embedded the launch episode below, but click though to the ZANews or Mail & Guardian sites for more shows (a new show will be produced every day). In this episode you'll see, among others, President Jacob Zuma, Helen Zille, Julius Malema, Nelson Mandela and Desmond Tutu. Posted in Events and tagged politics on Tuesday, 6 October, 2009 by Paul. The posters you can see on the wall here, designed by advertising agency Young and Rubicam, are a clever twist on this piece of South African culture. They read "Awuleth'umshini wakho", which means "Bring me your machine gun". The posters were put up in February as part of a campaign to persuade citizens to hand in their unlicensed firearms. I have no idea whether they've been effective or not, but they're certainly eye-catching. You can read more about the campaign and see a photo of the full poster on Marklives!com. Posted in Street photography and tagged art, law, politics, sign on Wednesday, 29 April, 2009 by Kerry-Anne. The 27th of April is Freedom Day in South Africa. 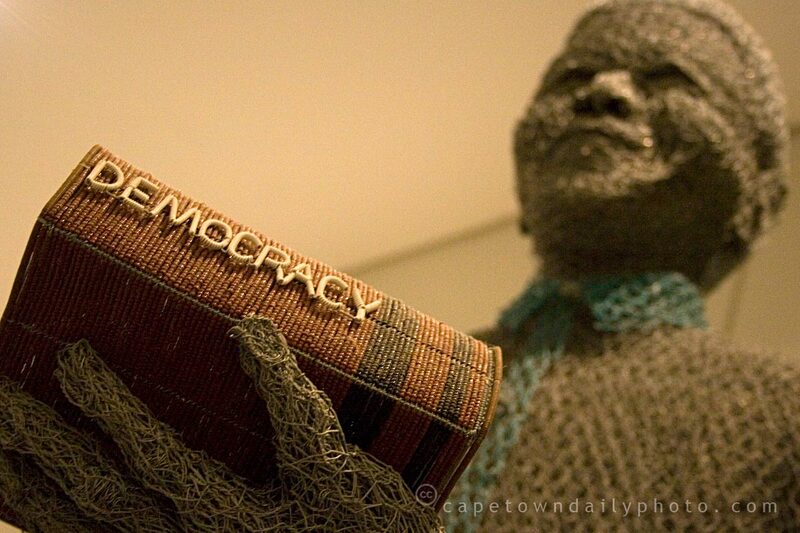 This public holiday marks the start of our first democratic elections in 1994 (the elections were held over 3 days). I wasn't old enough to vote back then (I turned 18 two and a half months later), but I remember that day so clearly. There was an incredible sense of excitement, and news broadcasts showed images of long voting queues snaking their way through dusty township streets, and elderly black people tearfully telling reporters how it felt to finally be able to vote for the first time at the age of 80 or 90. Got to admit, I still get teary thinking about it. We held our 4th general election last week, and for the first time since 1994 there was a similar sense of excitement and optimism. And it didn't seem to matter who you were voting for either (just as it didn't matter much in 1994) - everyone seemed enthusiastic, and it felt good to be united as a nation in a common activity. Despite all the controversy surrounding our president-elect Jacob Zuma, I think there is a lot of optimism right now amongst people of all political persuasions. It's a fresh start, and a change, and perhaps that's the most important thing for our teenage nation right now. 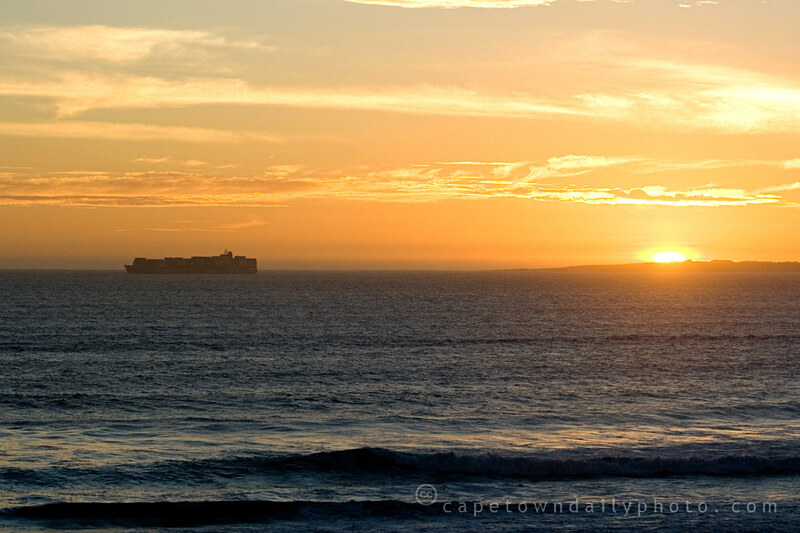 I found this photo in our archives; it's a month or two old, but I thought it would be fitting to post a photo of the sun setting behind Robben Island to mark Freedom Day. Posted in News and tagged beach, celebration, history, politics, sunset on Monday, 27 April, 2009 by Kerry-Anne. We joined the queue - about 80 metres long at the time. We proceeded slowly to the head of the queue, which was at the door of the school building. As four people exited, four of us were let into the building (I guess there were about 12 to 16 voters in the building at any one time). I handed my Identity Document to the official who scanned the bar-code and printed a little "receipt" of sorts. I took my receipt and headed to the next official who found and crossed off my name on a printed list. I then moved on to the next two officials who collected and checked my "receipt", and handed me a provincial and national ballot paper respectively. Almost done, I walked around to the voting booth, where I took this photo and drew an X in the appropriate blocks. And finally, I walked to the table holding the two ballot boxes, and dropped in my ballot papers. I believe that some people had to wait far longer than we did to cast their vote. I guess it depends on the concentration of voters in a particular area, as well as the efficiency with which the voting station is being operated (along with technical challenges that I believe some had with the bar-code scanners). I took a drive past our voting station this evening just before closing at 9pm - and while there wasn't a long queue at all, there were still people arriving in dribs and drabs. Let's hope that everyone who wanted to vote made it through to the various stations on time. Posted in News and tagged politics on Wednesday, 22 April, 2009 by Paul. As I mentioned yesterday, tomorrow will be the day that gazillions (hopefully!) of South Africans visit their local voting stations to put their cross on a ballot and cast a vote for a political party... or I guess in many cases, against a political party. Whichever party :-) you fall into, why not do as Kerry-Anne and I will tomorrow? Don't drive to your voting station, but walk instead! You'll (a) avoid possible traffic, (b) get some exercise, and (c) have a chance to walk outside in the nice, clear, and comfortable 25°C weather we'll be having. It looks like it will be a perfect day for voting - not too hot, not too cold. 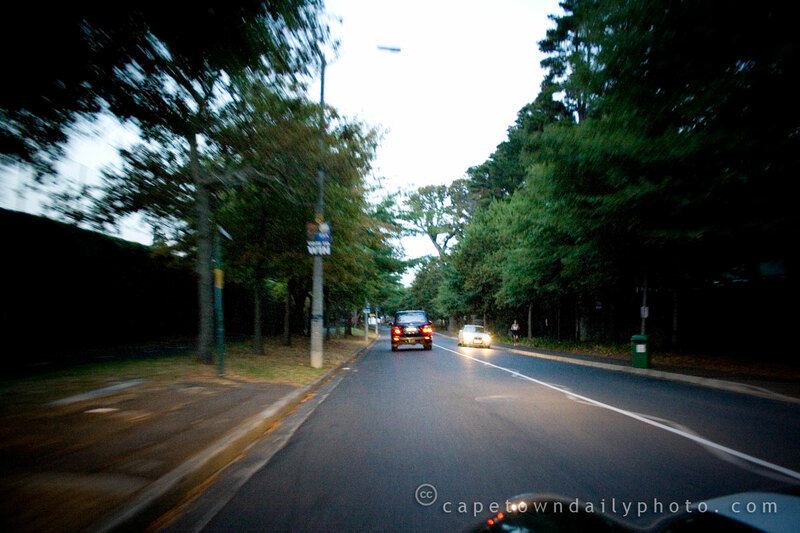 Posted in Street photography and tagged politics, road on Tuesday, 21 April, 2009 by Paul. South Africa votes on Wednesday! 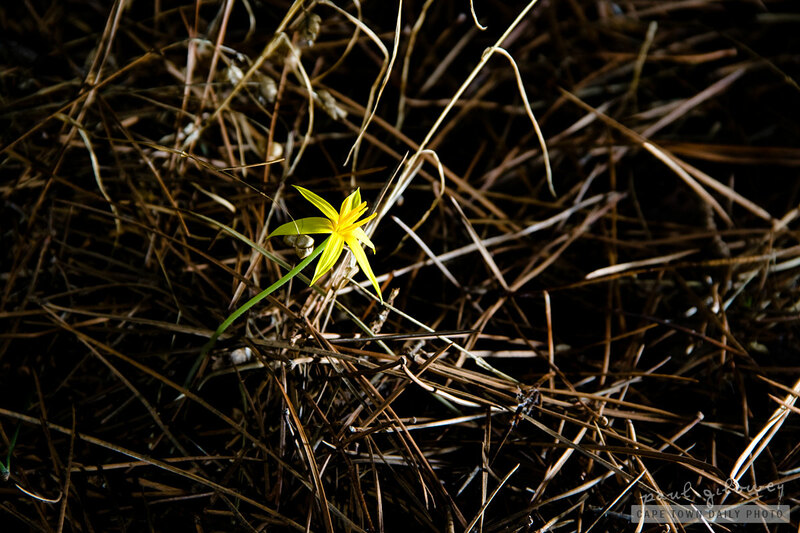 The air has turned cool, the sky has turned grey, and the first significant rains of the year have started to fall. Millions of South Africans will be heading to the polls to vote in our national elections on Wednesday, and fortunately it seems as though the weather will start clearing in preparation for that. Voting in South Africa is tricky. We have one very large party (the ANC) and several much smaller opposition parties. The chance of one of these opposition parties coming into power is zero, but in theory, if the ANC doesn't win an outright majority, the smaller parties could join together and govern as a coalition. This has happened at provincial level in the past. Which brings me to the next point: we don't vote only on a national basis, but on a provincial basis too. This means that we could vote for party A at national level (perhaps because we believe in their ideals) and for party B at provincial level (because we believe they will be more efficient at running our province). Or we could vote for the same party in national and provincial elections, of course! Wednesday's going to be an interesting day. I'm keen to see if the tide has started to turn against the ANC's two-thirds majority win of 2004. Personally, I don't think it's a great idea to have one party (any party) with complete power, so let's see what happens this time around. Let's go and vote, people! 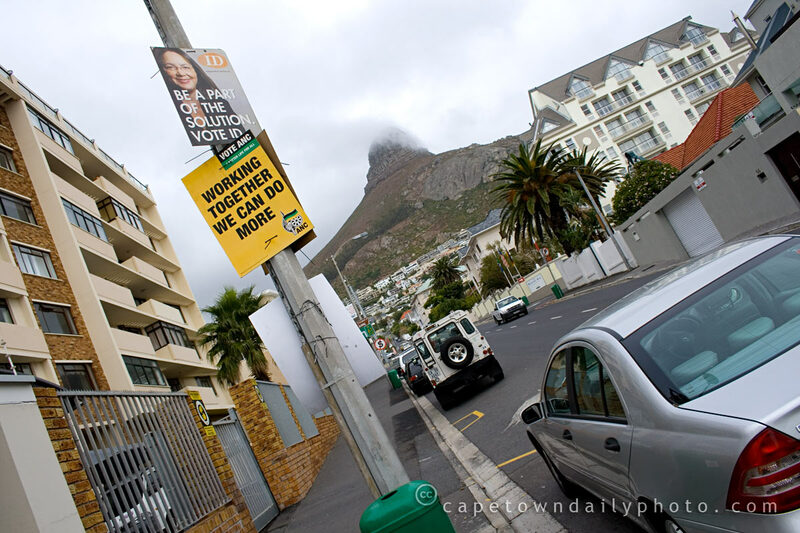 Posted in Street photography and tagged lion's head, politics, sign on Sunday, 19 April, 2009 by Paul. 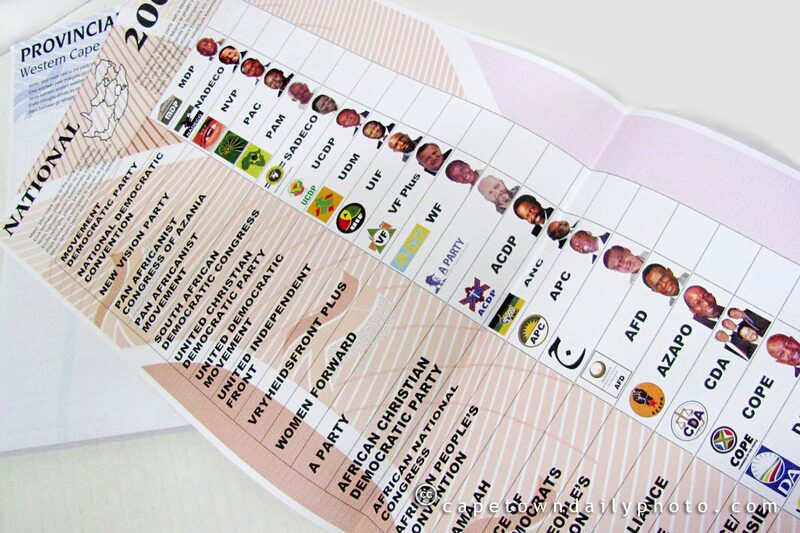 Perhaps if you're not South African, or if you're not living in the country, you may be unaware that 22 April 2009 will bring one of the more important national elections since Nelson Mandela was elected in 1994. While it may be interesting to watch South African politics unfold, the reality is that it's often a sad situation - though I guess that the same could be said for most political battles worldwide. Our hope lies in what this photo represents: not just the concept of democracy, but also the ideals and vision that people like Nelson Mandela and Oliver Tambo instilled in many of their followers. My hope is that these men and women will remember those ideals and teach them to their children and grandchildren, so that the truth of what was fought for so many years ago may live on for more than just their generation. Posted in News and tagged politics on Saturday, 28 February, 2009 by Paul. Now that he's spent a few weeks in the President's seat, I'd be interested to know how the American people feel about President Obama, and whether or not his presidency has already started to have a positive and tangible effect on the American spirit. 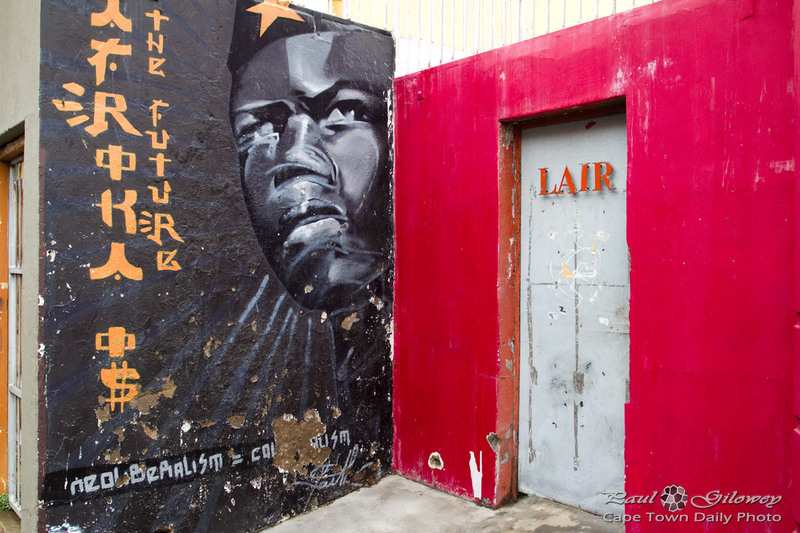 Wherever you walk in Cape Town, there's a huge chance that at some or other point you'll see a statue, photo, painting, or some other work of art as a tribute to Nelson Mandela. 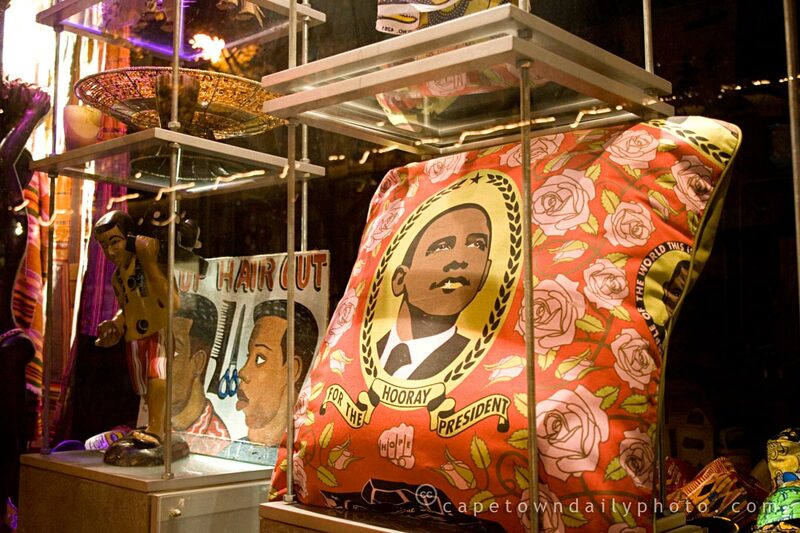 This store might be aiming to sell this pillow to an American visitor, but I think it says something about our country's perception of the significance of President Obama's election. 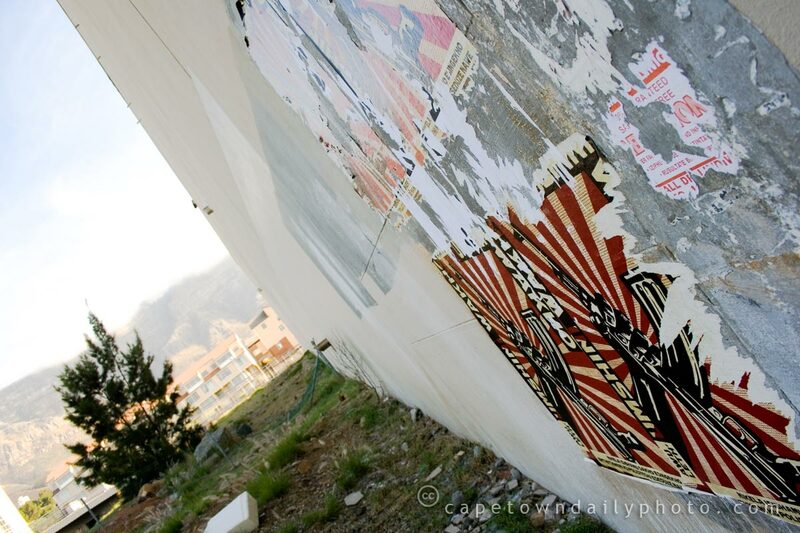 Posted in Street photography and tagged art, politics on Wednesday, 11 February, 2009 by Paul.